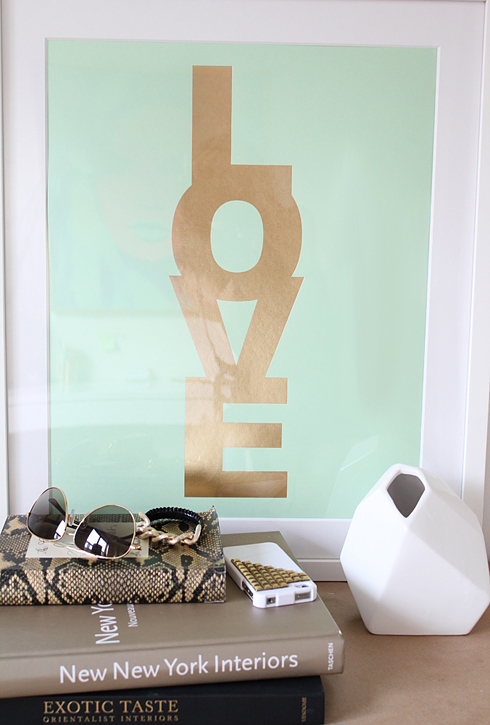 Love the new mint and gold poster! Love the mint and gold!! Perfect color combo. I love that!!! THe colors are amazing!! Thanks so much for commenting on my blog! I about died when I saw your name - I look up to you so much!! I am officially using this picture as inspiration for my room makeover! My wall is ready for this! Amazing combo! you are too cute. I love your blog and your store. Looks lovely! Two of my fav colors for summer! AMAZING news!! So happy you went ahead with the idea! I am in need of three <3 let us know as soon as they are available! I am crazy about mint and gold these days as well. Found the most amazing vintage cream and sugar set made in England from an antique market! perfect condition and I just couldn't resist and took them home with me. TIM: aah they sound gorgeous... Lucky u! ahh... THIS is what I've been waiting for you! Love it and can't wait to get one! Excellent <3 I pinned it to my turquoise board and will repin it to my budget style + etsy boards when you list these prints! Wonderful photograph! I absolutely love that print. I'm in the process of apartment hunting as soon as I find one I would love to buy this!! love the colors!! The mint is gorgeous! I have the perfect place in my home for it! might be my favorite color combo yet! i absolutely love it. I love the mint but purchased the white & silver! Looking fwd to it arriving in Oz! Love the faceted white vase in pic too. Do you sell those too? WANT!! when will the poster be available Jen?